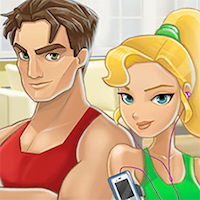 FITNESS WORKOUT XL | Free Mobile Games on Funky Potato! It’s time to perform some workout! Choose your character, build your body and boost your endurance!